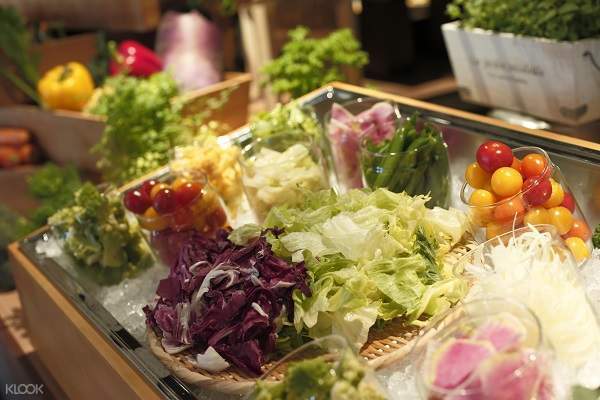 Treat yourself to a delicious buffet that uses fresh ingredients from Kyoto! Good. Price is reasonable. It's easy to find the restaurant. 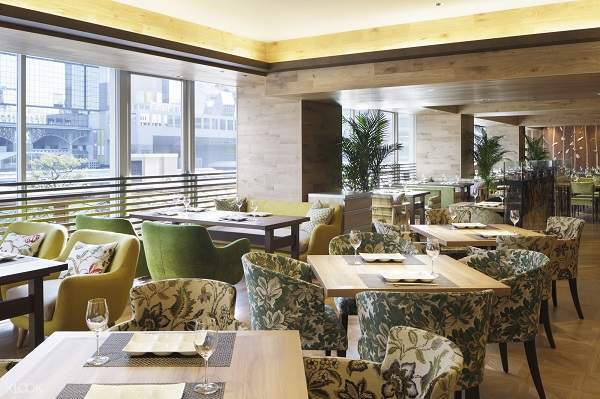 Stop by at Tower Terrace in Kyoto Tower Hotel and savor delicious and healthy food paired with an awesome view of the city, all at an amazing price! Overlooking the busy Kyoto Station, a meal here is an ideal way of taking a breather from a full day of exploring the city. Sit back and relax in the restaurant's cozy yet elegant interior as you look through the large windows and admire the bustling city during the day and the stunning skyline at night. 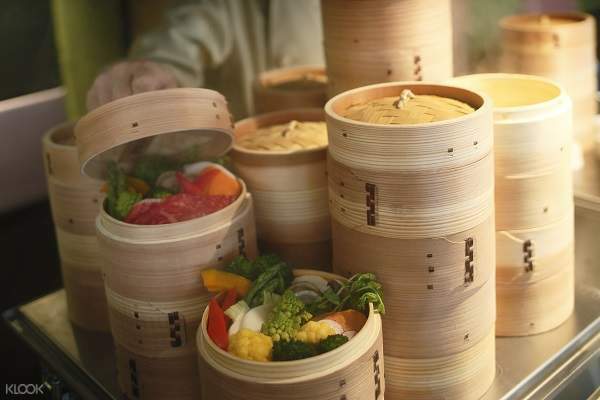 Treat yourself to a dinner buffet with over 40 different dishes, including appetizers, salads, and main dishes that are all bursting with the distinct flavors of fresh ingredients from Kyoto! Taste flavors from all over the world with the buffet's various themes, such as Thai Vietnamese, and Indonesian, as well as the seasonal veggie bar and their healthy menu. End your night on a sweet note by sampling Tower Terrace's selection of cakes and other sweets! Health buffs will surely enjoy the seasonal veggie bar! Really enjoyed the meals. Not much to be expected with the main dishes, but the salad and dessert spreads are quite satisfying. Really enjoyed the meals. Not much to be expected with the main dishes, but the salad and dessert spreads are quite satisfying. The food is good and the environment is nice. I enjoy the dining experience with my girl and sure to recommend my friends to come and book via Klook! The food is good and the environment is nice. I enjoy the dining experience with my girl and sure to recommend my friends to come and book via Klook! The buffet is great with variety of food and the taste is good. Worth every penny spent. The buffet is great with variety of food and the taste is good. Worth every penny spent. Good. Price is reasonable. It's easy to find the restaurant. Good. Price is reasonable. It's easy to find the restaurant. Easy to redeem voucher and staff are helpful and friendly. And thanks to Klook, I was able to enjoy diner at reasonable prices. Easy to redeem voucher and staff are helpful and friendly. And thanks to Klook, I was able to enjoy diner at reasonable prices. Place Location is easy to find and spacious. Relax background music. However, it's 3/F only, the view is not fantastic and the interior is a bit old. Logistic It's easy & smooth, only show yr email. Eat & Leave... Staff Nice & Helpful Food When compare with the buffet in HK. Choice is super limited, don't expect with any seafood (except the welcome Lobster soufflé, taste bad, like mashed potato), sashimi (even no sushi) and fruit. All the food are bad, even the soft ice-cream (the worst one I ate in Japan). The teppanyaki, with beef only, have to chew hardly before swallowing. The 1st time that I feel hungry after having buffet as you don't wanna to pick any food / drink again except water. You will find it's a better choice to have Ramen / curry egg rice in any restaurants. Place Location is easy to find and spacious. Relax background music. However, it's 3/F only, the view is not fantastic and the interior is a bit old. Logistic It's easy & smooth, only show yr email. Eat & Leave... Staff Nice & Helpful Food When compare with the buffet in HK. Choice is super limited, don't expect with any seafood (except the welcome Lobster soufflé, taste bad, like mashed potato), sashimi (even no sushi) and fruit. All the food are bad, even the soft ice-cream (the worst one I ate in Japan). The teppanyaki, with beef only, have to chew hardly before swallowing. The 1st time that I feel hungry after having buffet as you don't wanna to pick any food / drink again except water. You will find it's a better choice to have Ramen / curry egg rice in any restaurants.